Around since ancient times, the properties of silver have allowed it to be cast as tools, flatware, machinery, and of course, jewelry. 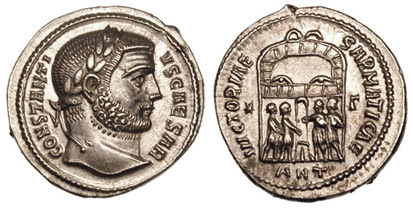 A Roman silver coin. 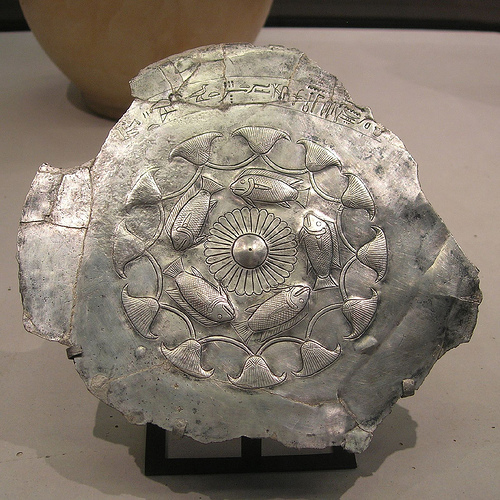 Photo from Classical Numismatic Group, Inc.
An Egyptian silver plate with fish and plants. Photo by Monceau via Flickr. The religious beliefs, superstitions, and folklore of many peoples from around the world are peppered with references to silver, a symbol for goodness, purity, and luxury. 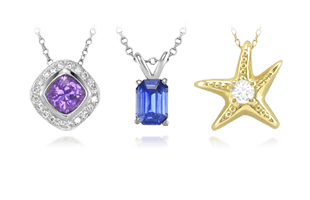 Spiritual and New Age traditions attribute special cleansing and healing powers to silver. 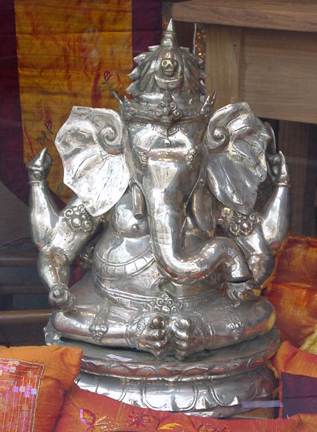 A silver Ganesh brings wisdom, prosperity, and good fortune. Silver (chemical symbol Ag) is not as rare as gold or platinum, a fact that is reflected by its price in world commodity markets. Silver is one of the most reflective metals. 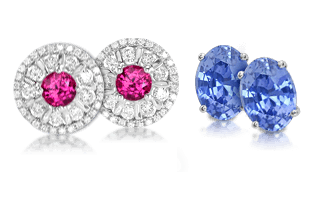 When it is polished, it reflects more than 90 percent of visible light back to the eye. 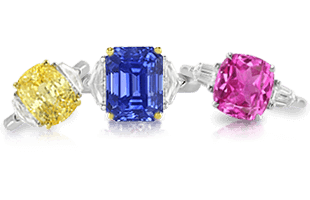 For this reason, it is often used to mount transparent stones in jewelry because its high reflectivity increases the sparkle of the stones. Like gold and platinum, silver does not react with most chemicals, will not rust or corrode, and is relatively durable. It does react with hydrogen sulfide, an atmospheric pollutant, which causes a gray surface film, called tarnish . The tarnish on a piece of silver can be easily removed with special polishes. Annealing silver with heat from a torch. Silver is also extremely malleable and ductile. It can easily be drawn into a thin wire or hammered into new shapes. When silver is worked, the stress of the pounding can make the metal brittle and prone to fracture. Silversmiths solve this problem by periodically annealing or heating the metal to restore its malleability. 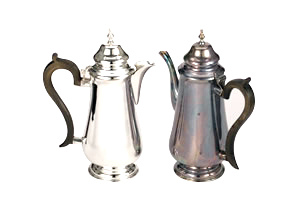 Silver objects can be finished with a variety of decorative patterns and textures. 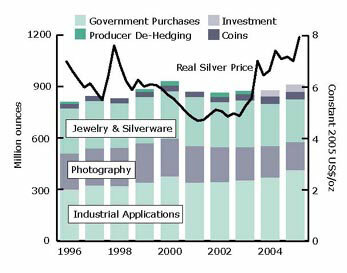 Major uses of silver today. Pure silver is too soft to be used in jewelry without being mixed with other metals, primarily copper, to form alloys . 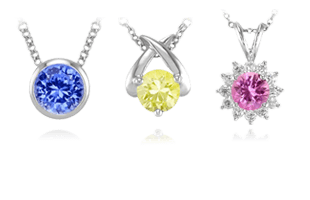 The most common silver alloy is sterling silver. Silver is the world’s best conductor of heat and electricity. 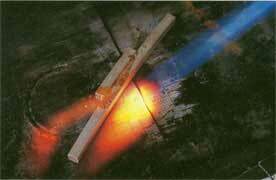 In fact, it is used as the standard by which the conductivity of all other metals is tested. For this reason, silver is commonly used in many industrial and medical applications. This completes the characteristics of our main precious metals, now learn about the History of Precious Metals | The Start of Precious Metals Influence.